If you’ve ever had the bad luck to experience an air conditioner breakdown in the heat of summer, you know how miserable your home can get. HVAC contractors do their best to tend to customer needs promptly, saving you from days of high temperatures indoors, but sometimes air conditioner repairs or new air conditioner installations cannot be performed right away, leaving you without cooling until ordered parts arrive or new systems can be scheduled for installation. In years past, you may have been left to sweat it out until your cooling system can be fixed. Today’s air conditioning contractors are using improved portable air conditioning technology to improve the comfort of their customers while awaiting air conditioner repair or installation. Portable A/C is also being used in emergency situations for mission-critical businesses such as data centers, and you may also see portable cooling technology at sporting events or outdoor concerts throughout the summer. HVAC contractors are using portable air conditioners largely during summer heat waves when emergency situations arise. These may be residential, such as when an air conditioner has gone out and is awaiting repair, providing temporary relief for the elderly, pregnant women, or others with medical conditions who are more susceptible to danger when indoor temperatures rise. Portable air conditioners can be set up fairly easily and quickly, though having ample power to supply the unit can be an issue. When creating emergency contingency plans with commercial clients, these issues are addressed ahead of time so infrastructure is available when the time comes. Some cooling contractors are keeping portable AC units on-hand, which can be delivered to customers awaiting air conditioning repair or installation. Portable cooling units require some maintenance, such as clearing drain lines and emptying water reservoirs, which technicians should review with customers to eliminate issues during use. Portable A/C is used to provide spot cooling in commercial applications, cooling server rooms or providing needed dehumidification in rooms storing ammunition. Contractors utilizing portable air conditioning units are working with customers to create emergency plans to address cooling needs in the event of a power outage, system outage, or other catastrophe, addressing potential needs ahead of time so solutions can be rolled out quickly when and if these situations arise to reduce or prevent damage or loss. Portable cooling units may also be used as long-term solutions in applications where spot or additional cooling is required but permanent equipment is not an option. Learn more about how HVAC contractors are using portable A/C units to improve experiences for customers both residential and commercial at ACHRNews.com. If you need AC repair or new cooling system installation, use HVAC.com’s HVAC Contractor Directory to find a local cooling contractor who can not only assist you with your project, but provide temporary relief while you await its completion. Just enter your ZIP code and see a listing of all HVAC contractors serving your area as well as their services and contact information. 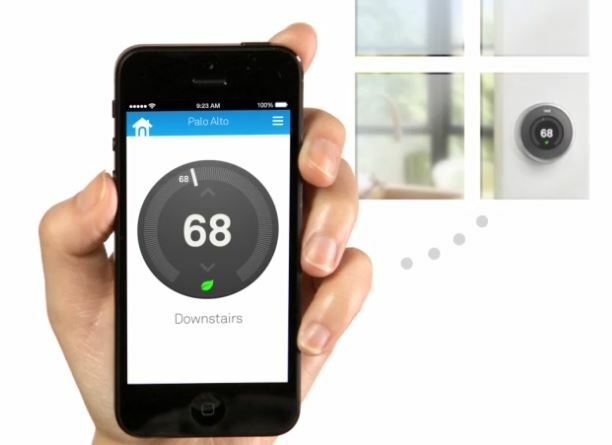 Smart Thermostats For Your Home – What’s The Big Deal?